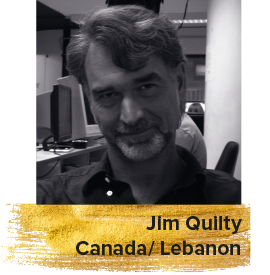 Jim Quilty is a Beirut-based Canadian film critic, journalist and writer. He has been writing about films and arts in the MENA region for over a decade. He edits the arts and culture section of The Daily Star, and has published work in magazines such as Bidoun and Variety.